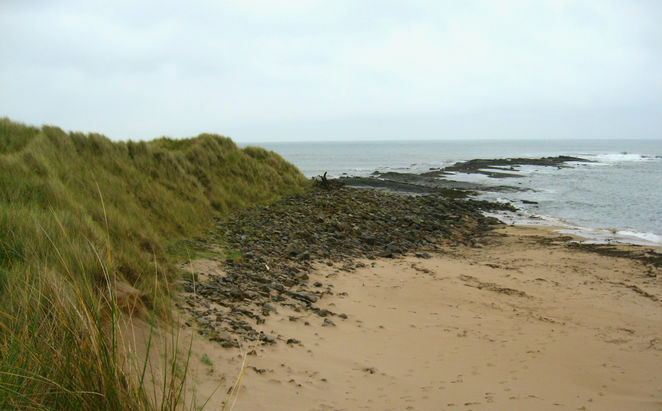 The following is a selection of some of the best places to find superb coffee in a few of England's major cities (London, Manchester, Liverpool, Nottingham, York) and a more remote outpost (Lindisfarne Island). 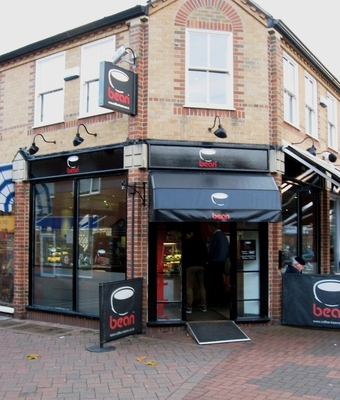 The Bean is located a short walk away from the University of Nottingham in Beeston, a suburb of Nottingham. The Bean was one of the first 'speciality coffee shops' in the UK. It has won awards in previous years for its coffee of 'exceptional character.' The shop also brews whole-leaf teas and provides an excellent range of sandwiches and cakes. Flat white is the name for an Antipodean-inspired coffee of strong espresso mixed with steamed milk. 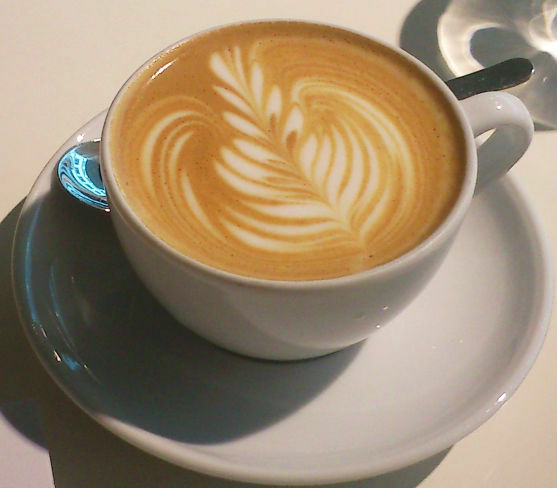 The drink has taken off in popularity over the past decade, but Flat White was one of the first to bring it to London. The cafe also serves a selection of foods influenced by Australian and New Zealand food traditions. 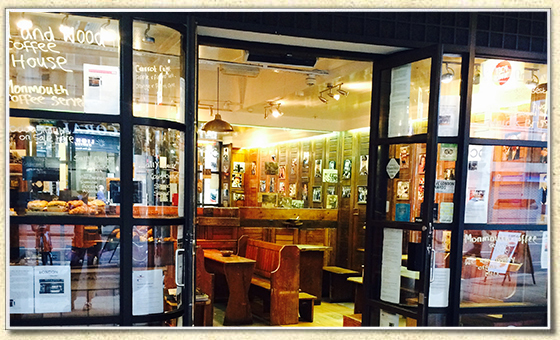 After five years of service, the original shop on Titchfield Street near Oxford Circus is well-known for its excellent coffee and loose leaf teas (from the Rare Tea Company). A second location opened in March 2015. Apart from coffee and tea, both shops serve a selection of English juices, Italian sodas, and a weekly changing menu of fresh items made onsite. 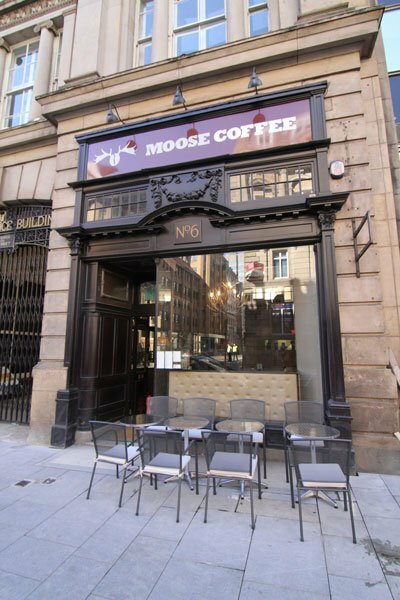 Moose Coffee is inspired by the diner culture of New York City. The cafe offers authentic American and Canadian-style breakfasts and brunch (such as pancakes with maple syrup) paired with the shop's own coffee blend. The two sites of the Perky Peacock have the most appealing locations of all the shops on this list. 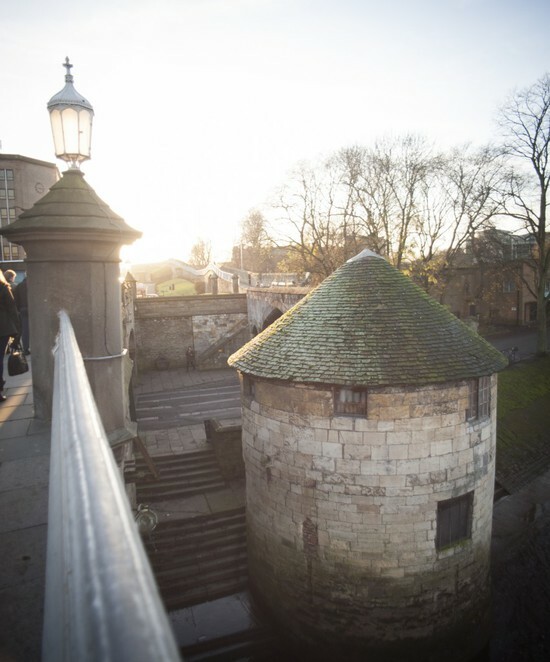 The original shop is tucked away in a thirteenth-century Tower under Lendal Bridge. The second location is on the historic street of Gillygate next to York's medieval wall. Cheerful decorations, historic ambiance, and great coffee make this shop the perfect addition to a tour of York. Pink Lane Coffee opened in 2012, but has quickly established itself as one of the most popular coffee shops in Newcastle and the Northeast. The shop is known for its pleasant atmosphere, focus on local ingredients, and selection of single origin coffees. This quirky, iconic cafe originally started off as a cupcake stall. The shop still sells delicious cakes and a seasonal menu along with a range of hot drinks. The main feature of this coffee shop, apart from great coffee, is the dedication to promoting artistic talent. Every eight weeks local artists are selected to decorate the walls of the shop; customers are also invited to write their names on a loyalty wall to track their purchases. The creative atmosphere of Wild & Wood along with its Monmouth coffee served with Jersey milk made it London Lifestyle Awards' Best Coffee Shop of the Year in 2014. 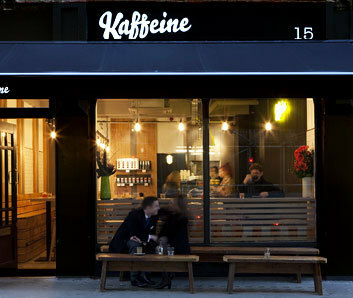 It was also selected by Time Out in 2013 as their favourite coffee shop. The shop is furnished with antique church furniture, including pews and wood panelling. It is a tiny shop and, despite all of its accolades, it still has the sense of being an undiscovered secret. The 200 Degrees Coffee Shop is located in the building of the former Flying Horse Inn, a public house dating to the late fifteenth century. The shop offers a Brazilian House Blend or seasonal arabica beans. Both blends are roasted locally in Nottingham. 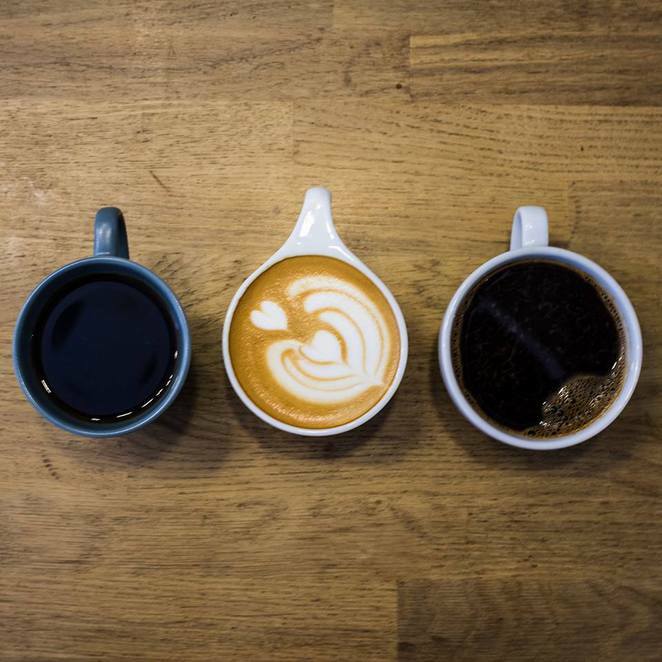 The 200 Degrees Coffee Shop also functions as a barista training school, so every drink is prepared by an expert. Now that looks like a list challenge to take on. 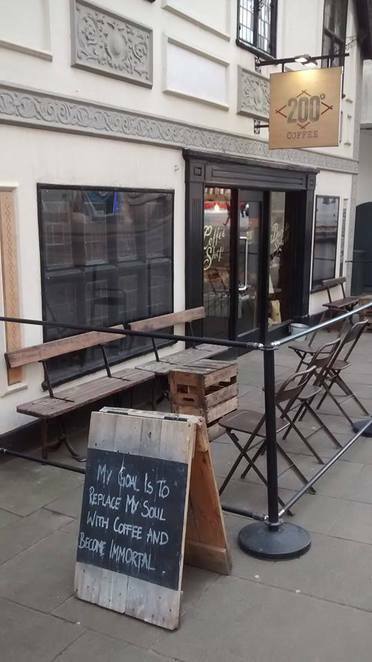 Good coffee without chains is a fabulous English town speciality to hunt out. Congratulations on winning third prize.